If you have a child that often gets car sick you are aware of the problems that you might have with the cleaning of the car and that detailed cleaning of the car seat can be really troublesome and quite a challenge. Another common problem when driving a child in a car seat are the stains that can become more obvious depending on the original print of the car seat cover. So no matter whether you want to refresh the car seat for your child or you want to upgrade it and re-use the car seat for another child purchasing a cover set for your child car seat can instantly make the car seat look brand new. There are many car seats on the market out there but one of the synonyms for safety, when we talk about child car seats, is the company Britax. So, if you are already one of the many satisfied users of the Britax Marathon ClickTight Car Seats you will find this product extremely useful because it is a secondary cover set which is compatible only with Marathon ClickTight car seats that had been produced after July 2014. This cover set is ideal if you want to refresh the old car seat or if it seems worn out or simply if you are too tired of the one you have and you want to change the design. 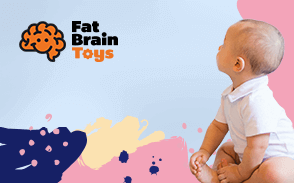 The cover set includes few things among which a cover for the car seat, comfortable pillow, and pad for the head, EZ-Buckle belly pad, and two comfort pads. The Britax car seats are usually used for long years and more than often one car seat is used for more than one child so in such cases, this cover set made of 100% polyester with polyurethane fill can be the much-needed replacement cover. More about the features of this Convertible Car Seat Cover Set are presented in this review article. The car seat cover is made of polyester with polyurethane fill and the manufacturer provides one year limited warranty for this set. One of the drawbacks, which is actually common for almost all car seat cover sets is that the cover is not machine washable but has to be hand washed. But unlike the other car seats it is actually very handy to have this additional car seat cover that takes easily off so while you are washing let say the original cover you can install this one. The fabric is extremely strong and what is more important durable, meaning that it is resistant to stretching and shrinking so you do not have to worry if you have to wash the cover few times that the next time it will shrink. Another good feature of the polyester is that in nature is quick in drying. Although the tag says hand-washed only, many customers say that it can be perfectly safe to put the cover in a washer bag and put the bag in a machine. This cover set is designed primarily to protect your child car seat in a vehicle. The cover can make your car seat look completely new and fresh. We drive our kids almost every day without exception at least twice a day so it is normal to expect that even the most durable and high quality materials are to be protected from the daily wear. Another thing with the car seats is that they are of long-term use and often used with more than one child. So in these cases we need to protect the car seat covers from dirt as well. The function of this cover is not only practical as mentioned here but the cover can have aesthetic value too because for many parents and kids as well, style, colors and patterns matter and if you want to make the car seat more appealing for the child you can do this by simply using this child seat cover instead of changing the whole car seat. This cover works well as a backup especially in cases when your child accidently gets the original cover soiled and it is really convenient just to replace it and wash the old i.e. original one. So, Britax Marathon Cover ClickTight Car Seat Cover Set has dual function to protect and style your child’s car seat. In terms of comfort this set also contains shoulder pads, headrest cover, belly-pad, comfort pillow and two comfort pads. The stress is on comfort so your child can not only get brand new redesigned cover for the car seat but will not compromise the comfort of the original car seat by still having the shoulder comfortable pads and comfort pillow that is removable and can be used when needed. The headrest cover is here for added comfort so your child can comfortably lean back on the headrest and enjoy the ride. The polyurethane fill of the padding gives additional comfort at every touch point. The shoulder strap pads, head pad and buckle belly pad not only provide premium comfort but these characteristics contribute much more for the safety of the child riding in the car seat. The shoulder pads keep the child in a good position when sitting as well as the belly pad which stays in forward position and you can easily get your child in and out of the car seat. The belly pad provides nice cushioning between the stomach of the child and the buckle. The Marathon ClickTight Convertible car seat cover set is a perfect time saver. It protects the child car seat from dirty shoes, animal paws, mess and spills. Instead of cleaning the original cover and having to wait longer time for the cover to dry before putting it back to the car seat, this option provides easy solution especially when you are travelling or on holiday and you do not have to waste your time on cleaning but enjoy your time with your family by just replacing the cover. This cover set can serve as a protection of the car seat especially in cases when your family keeps a pet. The combination of looking after kids and pets is always tiring and asks for lots of dedication to cleaning which is followed by another cleaning. Having a backup option for something that you use every day and is subject of daily wear is really convenient. One of the properties to look for when buying a car seat cover is definitely the ease of replacement. The Britax company has filmed very convenient videos of “How to replace and install a cover” for many models of its child car seats and among these videos is the one for Marathon ClickTight Convertible car seat. So if you are not keen on reading the instructions provided in the Manual or Guide for use you can always reach for the video option and by following their step by step instructions you can easily replace the original with this extra cover set. It is of perfect size to replace the original car seat cover and majority of the customers say that it is very easy to be put on the car seat. However, a number of customers complain that the cushioning comes into many different pieces and at times it can be difficult to put everything back together again after you have taken the original off. 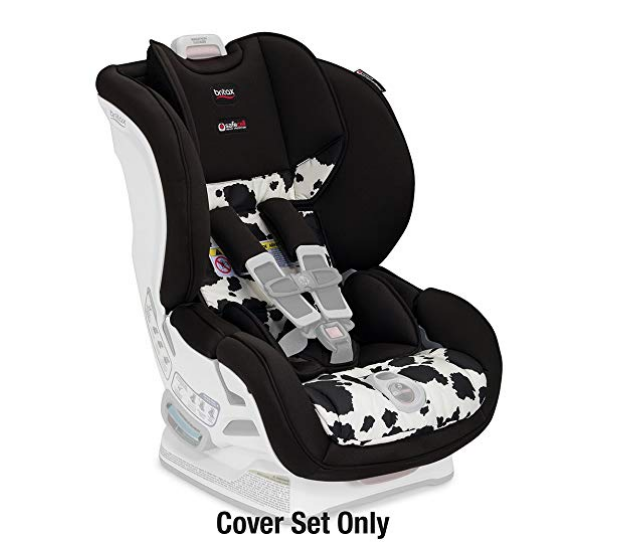 The cover set for Britax Marathon ClickTight car seats are with simple but stylish design that is gender neutral but can also offer some patterns like in the case of Cowmooflage cover set. The other most common colors are black and verve. No matter of what color you choose it will definitely provide a nice update to your original car seat. The only thing that you should be very careful about is the type of the model when ordering. When you browse through the different colors the model of the car seat changes correspondingly and that’s why you should pay special attention if you choose certain color or print/pattern whether they are compatible for the model Marathon ClickTight. 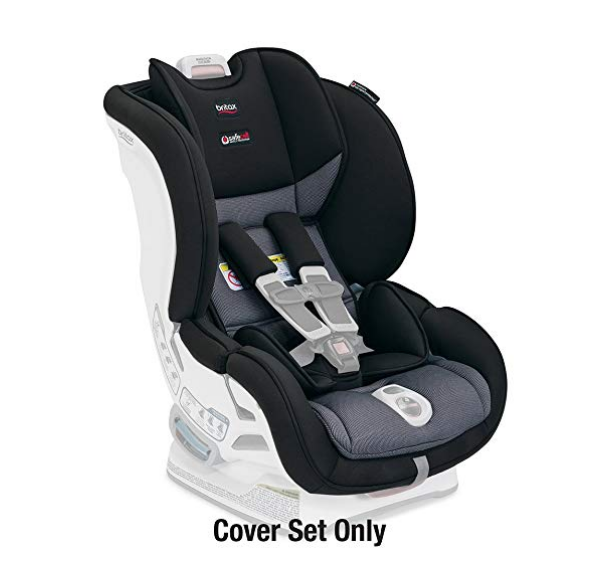 The manufacturer had clearly stated that this cover set is only compatible for this model: Britax Marathon ClickTight Convertible Car Seat Cover Set. With this cover set you should not be afraid that if you buy it, it might not fit perfectly in size. This cover set is custom-made only for the Britax Marathon ClickTight car seats which makes them precisely structured and fit the car seat. The dimensions are 22.5” L x 5.5” H x 18” W and accordingly the cover fits perfectly over the current seat. The additional parts such as shoulder pads fit nicely too although a few customers state that they had difficulties in putting them on. This backup cover looks like the original one of the child car seat so no one will notice that this is a replacement. The Britax Marathon ClickTight car seat cover does not gap at sides but it is positioned tightly to the car seat. Perfect fit for brand new look. This cover set for the Britax child car seat makes the money spent on the original car seat much more worth. For a price of a car seat cover you get a completely new car seat. This affordable car seat cover set can offer you a complete new look of your old worn-out or stained car seat. Instead of spending money on buying a brand new car seat because the cover on the old one is stained, stinks or looks worn out from daily wear, the Britax company has a better solution so you can save your money and just buy a cover to replace the old one on the car seat. The Britax Marathon ClickTight Car Seat Cover Set can definitely offer you an option of covering and protecting the child car seat. It is an affordable option when you want to re-design your car seat because the child is bored with the one you have or maybe you are reusing the child car seat for your second child and you think it will be a nice touch. It is very practical in cases when the original cover of the child car seat is dirty or full with stains so with the step by step guide for replacement of the cover and the installation of the new one you can get a complete new clean look of the child car seat. This cover set is a great backup option when you are washing or when the original cover got soiled. The material of the cover is easy to clean; it is durable and does not shrink and it is quick on drying. The size of the cover is perfect and fit as the manufacturer has stated only the Marathon ClickTight car seats, which on one side can be a drawback. The comfort of the car seat and the original cover is not compromised since this set also includes headrest, shoulder comfort pads, belly pad and comfort pillow that is removable. The cover set as we have already said is perfect size and it is additional bonus for the Britax car seats since with this extra cover you can keep the car seat brand new, shiny and clean and it is a great replacement especially for the Britax car seats that are used so many years.